A simple way to look at the technology is that it’s a global Peer-2-Peer network and timestamping database that tracks all transactions which anyone with internet access can use. Some people relate it to Google Docs where all users can access the same document, at the same time with updates visible to each of them. When you look closer you see the game-changing nature of it. It’s much more than Google Docs! 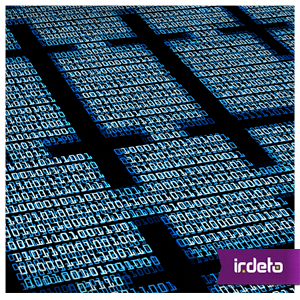 Blockchain is a decentralized database (or ledger) that is unchangeable, digitally recording and storing transactions. Transactions are any asset of value; e.g. money, goods, or property. Your transaction plus others are bundled together in a cryptographic block then shared with everyone in that ledger’s network. You can have non-permissioned ledgers and permissioned based ones. With the latter being used by banks for instance. It’s the ledger’s network that authenticates and validates the transaction. The cryptographic security uses public and private keys. The public one is added to your data package – it’s your blockchain address, as it were. Whereas the private key is only known by you and gives you access to your digital assets. The distributed nature of the technology means that it’s not controlled by a single entity. Nor is there a single point of failure. It’s not reliant on any one server, organization or software implementation. Lacking a central point of vulnerability means it’s harder to hack as you’d need to hack every block in the chain. The open cryptographic security allows different parties, who don’t know each other, to create and exchange value across the network. Gartner describes the value exchange as being the internet equivalent of TCP/IP. With blockchain it’s a value package. Anonymity (or as some refer to it pseudonymity) is guaranteed through the public key – only a string of numbers identify you. Essentially, a transparent network of trust is established. Anyone in the network can see which public key owns what at any given time. This could be a monetary balance or contract, for example. Removing the need for the traditional trusted intermediaries (e.g. banks) and the added anonymity will radically change the way we do business. As the technology continues to develop, many industries are already adopting it to introduce process efficiencies. Goldman Sachs predict it will save USD6 billion a year through optimized clearing and settlement banking procedures. It all sounds very positive, but what is the potential in cybercriminals’ hands? Whose assets will be shared within their network? In my next blog, I will cover that darker side of blockchain in more detail. This entry was posted in Media & Entertainment and tagged block chain, blockchain, cryptopgraphy, cybercriminal. Bookmark the permalink.